Made this fun placemat set 😃 Perfect for a summer garden party! 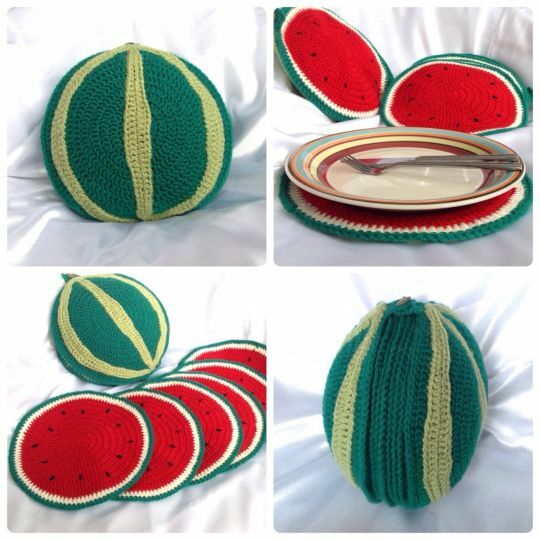 6 watermelon slice placemats in a handy watermelon shaped holder. Pattern includes instructions to adapt to match the Apple coaster sets.